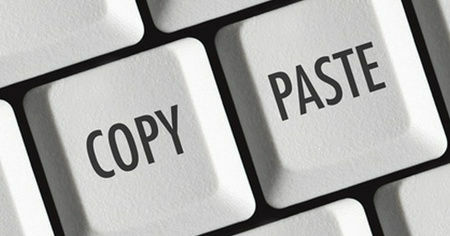 If you've been thinking about putting together quality content for your website, community presentations and handouts, but you don't have time to research and write them yourself, there's an alternative: Copy and paste public-domain content from U.S. government websites. This is legal! Content produced by the U.S. government is paid for by taxpayers and belongs to the public. Such content is not copyrighted, and can be used without attribution for educational purposes. 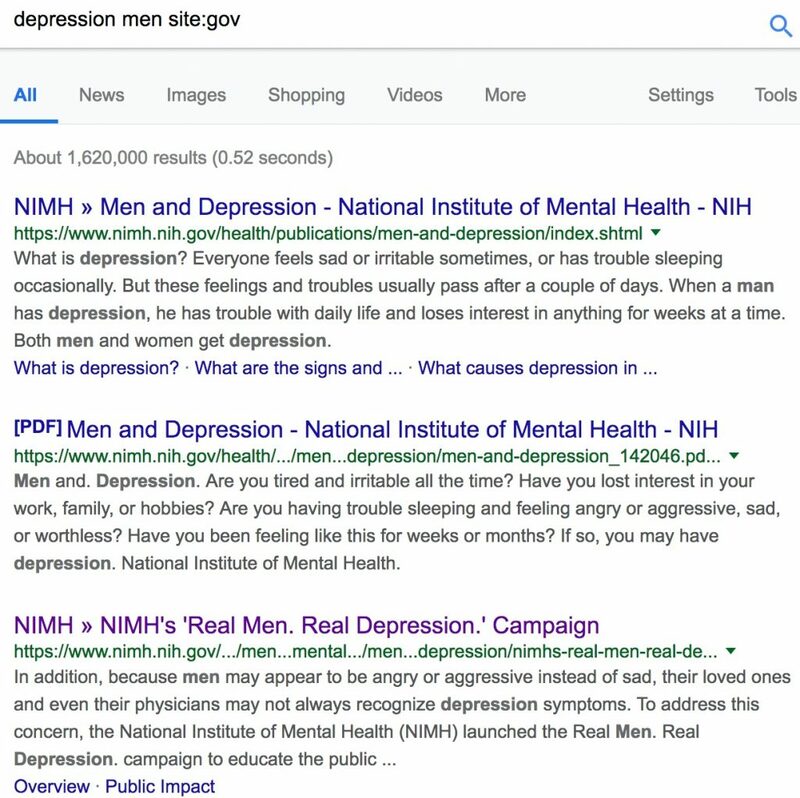 The National Institute of Mental Health (NIMH) website offers information about various mental disorders, statistics, consumer publications, videos and news on recent research. Facts for Features and Stats for Stories from the U.S. Census Bureau provides demographic and economic facts and statistics pertaining to holidays, anniversaries and other observances. Journalists use these for their news stories, and you can use them in your blog posts and presentations. You can also use them in grant proposals and in legislative advocacy. Data is also available from the Centers for Disease Control (CDC) and from the Substance Abuse and Mental Health Services Administration (SAMHSA). Youth.gov aggregates information from 20 government agencies that support programs and services focusing on children and adolescents. If you work with kids individually or at the community level, this site is worth a visit. The websites listed above are just a few sources of quality mental health information from the U.S. government. If you're not sure where to find the content you're looking for, you can search from usa.gov. The search results will show a list of links to various government websites that match your keywords. 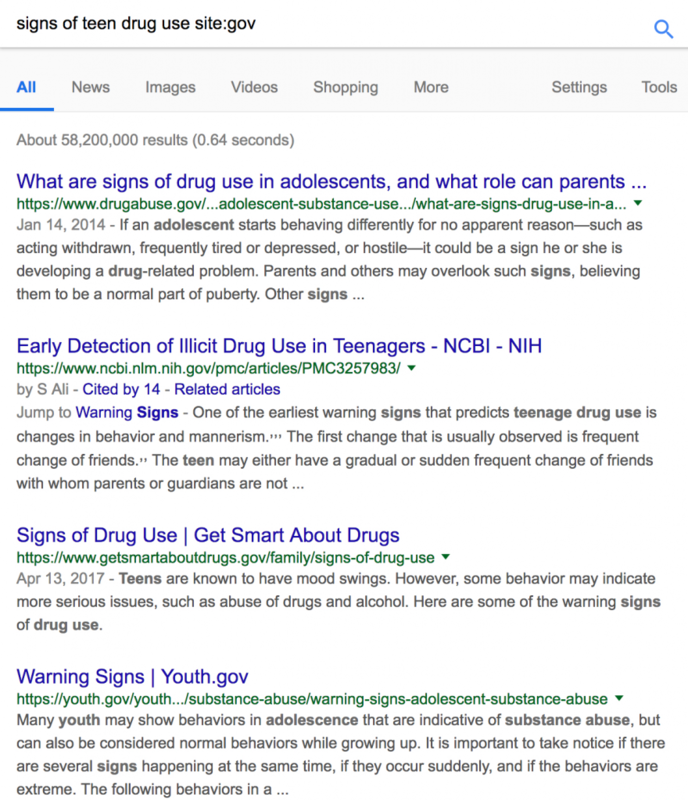 Next, suppose I want information about signs of teen drug use. Note that each of the above search results is from a different government website. 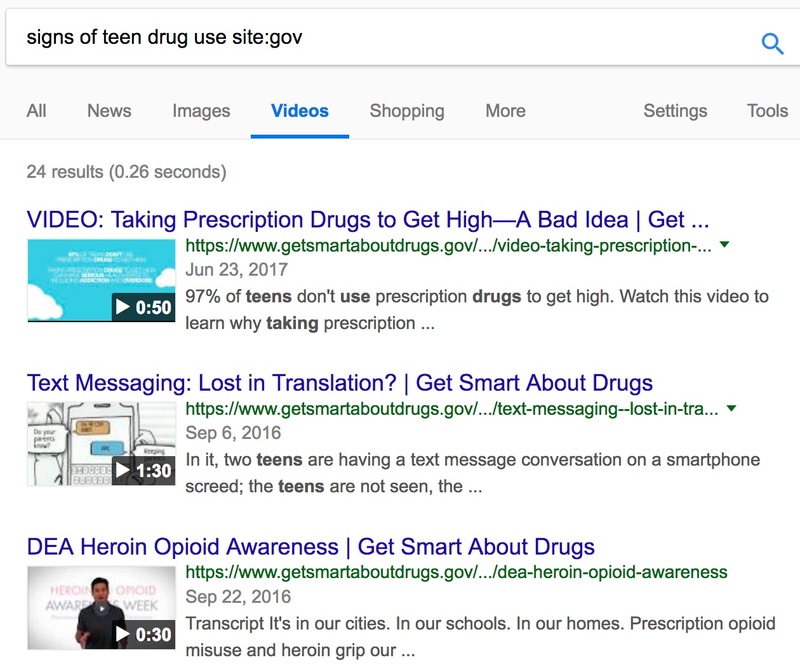 Now let's add another filter, searching government pages for videos on teen drug use. For this screenshot I clicked on the Videos tab at the top of the search results. Now I see some titles that might help get my message across, either on my website, or during a community talk. Post articles on your website or blog. Create handouts, fact sheets and tips sheets. Place them in your waiting room, distribute them at your community presentations, and give them to referral sources. Stream RSS feeds through a widget on your website or blog. NIMH provides instructions on how to do so. Use government statistics and other data in scholarly papers and for educating legislators. Any content produced by the U.S. government has no copyright and is free to use without permission for noncommercial purposes. However, government websites may include images and documents that have been produced by non-government entities, and these are subject to copyright restrictions. Before using content from .gov websites, check their terms of service. For any content that you want to use, check for evidence that it might be copyrighted, such as a copyright notice, or a named author or publisher. In those cases, contact the person or company to request permission, being specific about how you want to use their content.